Save SAR 140 (20.03%) – Earn 53 Shukrans What is Shukran? Shukran is the Landmark Group’s award-winning loyalty programme in the Middle East, which allows you to earn Shukrans when you shop any of our brands. 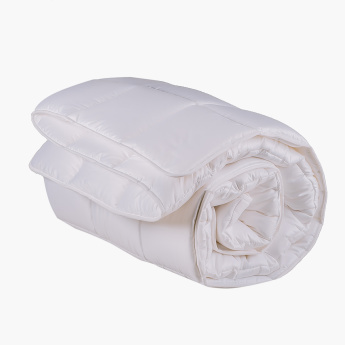 Get this lovely quilted duvet for your room and remains warm and cosy for long. The thick and soft fabric protects you from feeling chilled. It is finely stitched and has a modern design and look.